Nike is threatening to terminate contracts of athletes wearing custom sneakers. Nike isn't happy about its NFL endorsers wearing custom sneakers that cover up their branding. 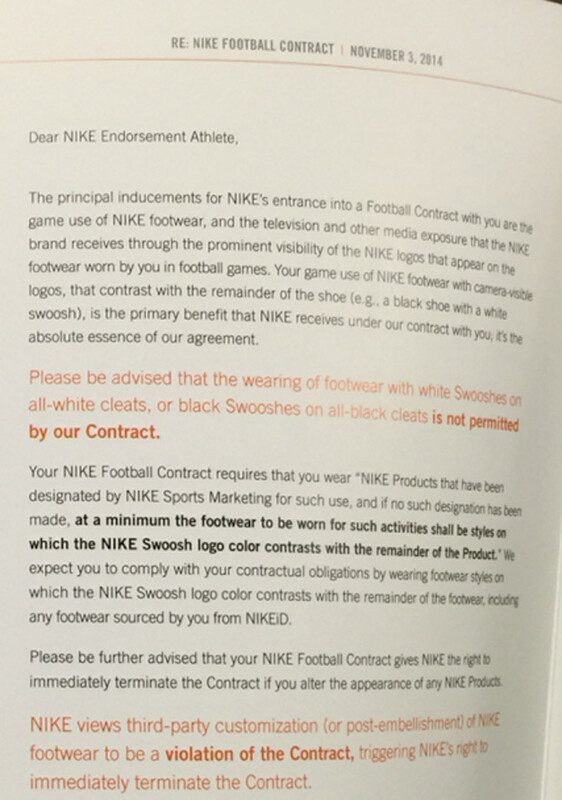 A pamphlet on the matter, pictured below, was sent out to athletes currently under contract with the brand and warns that "NIKE views third-party customization (or post-embellishment) of Nike footwear to be a violation of the Contract, triggering NIKE's right to immediately terminate the Contract". As you've seen from our Sole Watch recaps, custom sneakers have become more and more popular for professional athletes in recent years, and customizers' rolodexes increasingly consist of athletes looking for ways to add some flare to the pairs that they're given from brands. One of the scene's biggest names, Mache Customs, notes that he's done commissioned work for Nike before, and that the issue here seems to be more about the obscuring of Nike logos. "I think they're more concerned about the Swooshes getting covered up, that's what they're paying so much for so it makes sense that they'd be upset about that being taken away", says Mache. 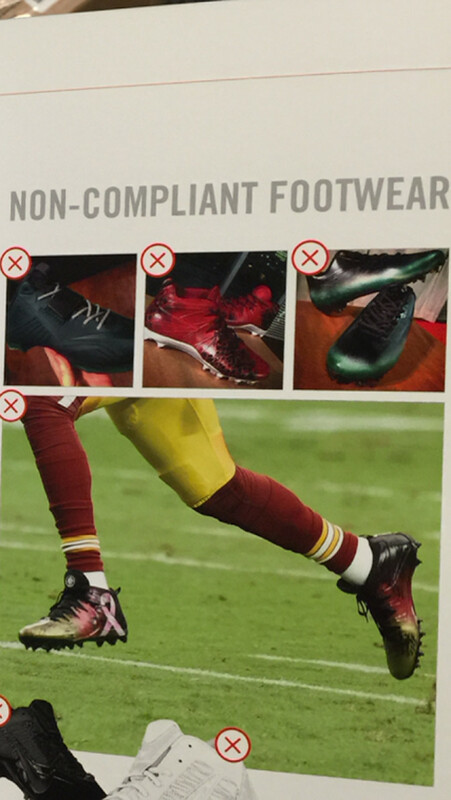 His point is echoed in the sneakers designated as "non-compliant footwear" in the pamphlet - each of which paint over the Swoosh and effectively decrease Nike's on-field visibility. Several of the works cited in the pamphlet come from Soles by Sir, a custom sneaker creator who said in an Instagram post that he is "honored though to catch the attention of a BILLION dollar corporation". Read the entirety of the letter below and tell us in the comments what you think of Nike's reactions to the growing custom sneaker scene.